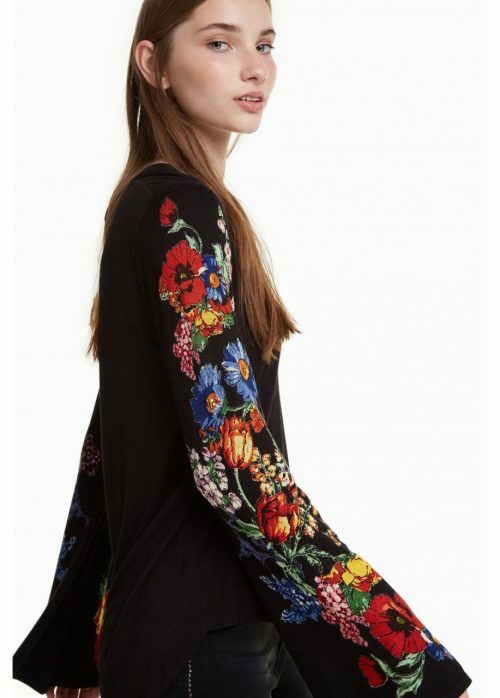 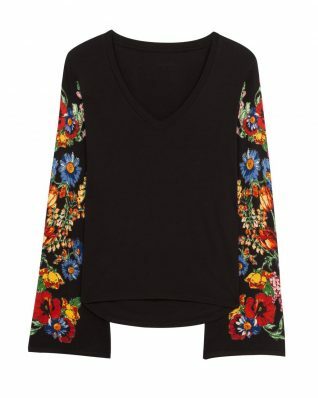 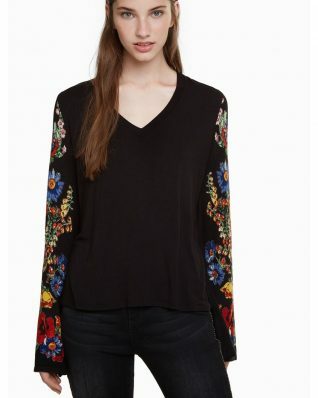 Desigual T-Shirt “Claudina” – exquisite black top in bohemian romantic style featuring flared long knitted sleeves in floral design, V-neck. 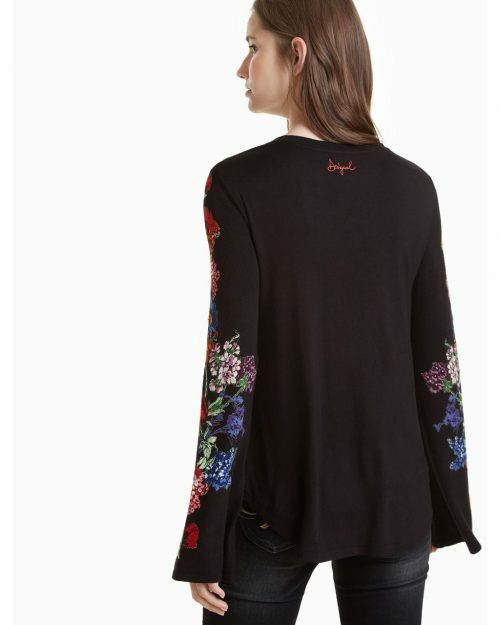 Easy comfortable fit, stretchy. Wear it as a top or as a light sweater. Spectacular style, indeed.